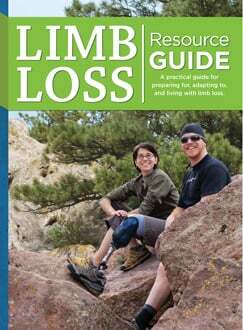 The Go AFO from Hersco is a rear-entry ankle gauntlet designed for patients who have difficulty donning traditional braces. 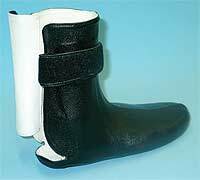 The gauntlet is a traditional thermoplastic ankle foot orthosis with a thin leather lining and outer layer that secures posteriorly using either a Velcro or lace closure. 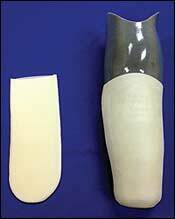 Now Chopart, Lisfranc, or transmetatarsal amputees who need a partial-foot prosthesis (PFP) can combine the Go AFO with a filler. 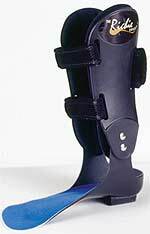 The Go AFO provides excellent support and control for the remainder of the foot, and the PFP portion can be fitted into regular extra-depth shoes. 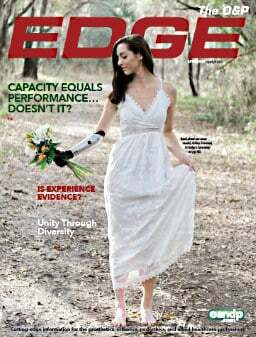 Ability Dynamics is a medical-device company created with a passion for helping amputees through the utilization of advanced technology. 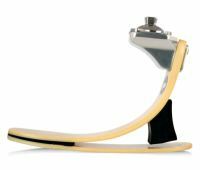 Our state-of-the-art Rush Foot™ uses Flexeon™, a specially formulated, reinforced fiber-composite material that is nearly indestructible and three times more flexible than carbon fiber. This translates into fewer repairs, maintenance, and warranty claims. 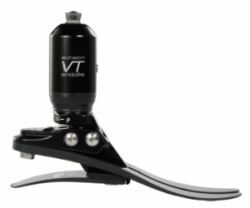 The echelonVT merges the fluid movement of our hydraulic ankle with the responsive function of our e-carbon foot springs and machined titanium spring. This combination results in a smooth heel-to-toe transition on all surfaces, absorbs ground forces, and provides energetic tibial progression and up to 15° of axial rotation. Meet the standards of ABC's new Central Fabrication Accreditation program and prove to your customers that you have met the same high standards they have when it comes to running your business. Device recall and failure procedures. Apis believes there is a shoe for everyone. Apis is a favorite for those who wear hard-to-find sizes—every shoe style is offered in a multitude of sizes and widths. 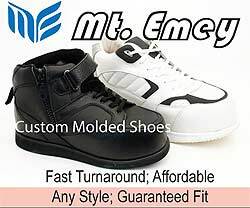 Try the risk-free custom shoe program for great quality, guaranteed fit, and unbeatable service. You can choose any style in the catalog. If they don't fit, then don't pay. One pair of custom-molded inserts are included. Call for more information or free samples. The medi Panthera CF I heralds the advent of a new generation of carbon-fiber feet. Due to its novel construction, less effort is required during the gait cycle. 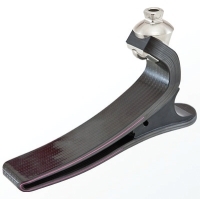 The unique heel damping and pivot principle initiates dynamic forward locomotion for early plantar contact without the "dead spot" common in other carbon-fiber products. Continuous carbon spring: no bolts or laminated connectors. 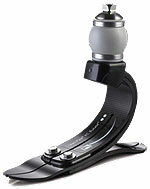 Comfortable heel damping with pivot principle: early full-foot contact. 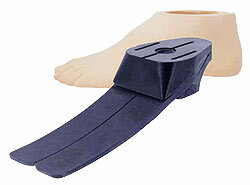 High-quality foot shell with integrated protective textile: no need for Spectra Socks. 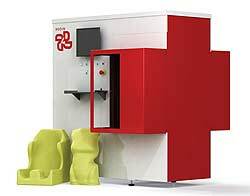 The 4S and 4C milling machines allow you to carve positive forms, such as for transfemoral or transtibial prostheses and torso and helmet orthoses; negative forms, such as for seats, insoles, and mattresses; and also trim the plastic afterward with thermo molding to improve productivity. 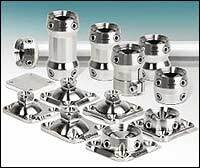 The 4S and 4C milling machines are fast, reliable, and easy to use and maintain. 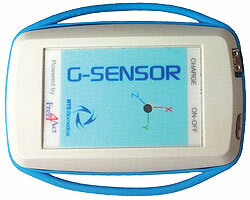 size wireless unit provides accurate, objective, and measured gait symmetry data. Graphical analysis is instantaneously transmitted to your computer, comparing your patient's gait to the normal average. Think of the benefits to your patients, your practice, your referral sources, and your claims justifications. 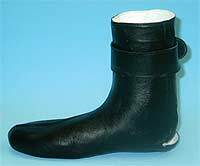 Offering a new flexible keel, the NaturalFlex foot is constructed of a non-carbon-fiber composite fiberglass, and its design is based on the proven performance of the Seattle Energy foot. 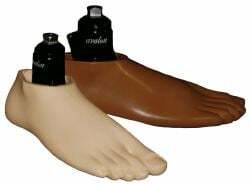 Compatible with the Seattle endoskeletal leg cosmesis, the NaturalFlex foot's flexibility provides the user with an active response and includes a removable sandal-toe foot shell. Available in four keel categories with optional ankle blocks and pyramids that can be purchased separately, the Trulife Seattle NaturalFlex foot is recommended for patients at a K2 activity level and a weight limit of 300 lb. (136kg). The makers of Mediven medical and CEP sports compression products, with more than 60 years of medical knitting expertise, offer a new knee brace undersleeve. Durable, high-quality medical grade, latex-free fabric for user comfort. Can be used with all knee braces. Anatomically designed for greater wearing comfort. 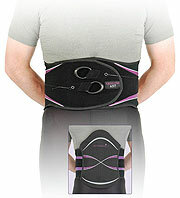 Sizes XS through XXL to accommodate the majority of application needs. Let us laminate your elevated vacuum socket and provide you with a heat-relievable laminated socket with no inner plastic liner. We use E-R Resin, which is currently the first resin that can achieve this. It is strong enough not to need carbon unless you want to use it, has a smooth inner surface, is easy to adjust with heat, grinds easily, and sands and polishes well. Lightweight sockets are a breeze for us. Send us the components to laminate and save even more. 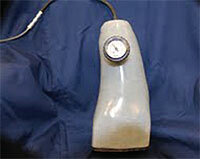 E-R Resin lamination classes can be provided. We're setting new industry standards. 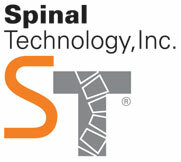 Spinal Technology is hosting the annual Scoliosis Symposium, with the addition of lower-limb orthotics management, in Boston, Massachusetts. 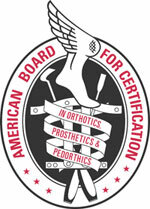 The course will cover measurement techniques and brace options for lower-limb orthotics, full-time scoliosis bracing protocol for adolescent idiopathic scoliosis, and the Providence Nocturnal Scoliosis System, with hands-on demonstrations in each segment. Presenters include Tufts Medical Center orthopedic surgeons, a Tufts neurosurgeon, and ABC-certified practitioners. Eligible practitioners can earn 16.25 ABC credits for attending the full presentation. Contact Nancy Francis at or 508.775.0990 x8374. Have your patients experience the 3S80 Fitness Prosthesis—ask for a trial kit, which includes the 3S80 Fitness Knee, a variety of adapters, and a series of 1E90 Sprinter feet. The 3S80 Fitness Prosthesis makes it possible for your transfemoral patients to get up and move again, thereby increasing strength and mobility and enhancing overall health. Contact your sales representative to schedule a trial fitting. If you know which products your patients need, simply call our customer service department to order. The newest fit-management tool for elevated vacuum sockets! The Super Shear Gel Liner is a very conformable and soft mineral-oil gel liner that offers an ideal solution to provide relief over bony prominent areas or to give a slight improvement in socket fit. The Super Shear Gel Liner is 14-inches long and can be trimmed to shorter lengths; it is offered in three widths to accommodate virtually any size. There are two gel liners per package.